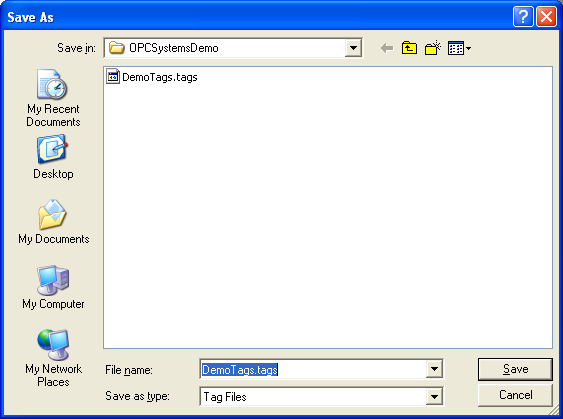 Open Automation Software Tags can be defined to connect to OPC UA Servers with the built in OPC UA Driver Interface. The following steps can be used to setup communications with OPC UA Servers. Select Configure-License and verify that OPCUA is one of the available Drivers in the lower left of the form. If you do not see the OPCUA driver update your Open Automation Software to the latest version. Note: You will need to be running Open Automation Software Version 10.0.0.12 or greater to support OPC UA communications. You can download the latest version from our Open Automation Software Download page. Note: Optionally select the Live Data Cloud node if you are hosting OPC UA data over the Internet with a standard Internet connection. Enter a meaningful Driver Interface Name that you will refer to this physical connection when defining Tags with an OPCUA Data Source. Define the properties for the connection to the OPC UA server. Set the Driver to OPC UA. Note: If you enable security the certificate path is C:\ProgramData\OpenAutomationSoftware\pki. You can use the Browse button if you have installed the OPC UA Local Discovery Service from the OPC Foundation to find all available server names. You can manually enter in your server if you have not installed the OPC UA LDS from the OPC Foundation. Change the Data Source Tag property to OPCUA. If you have more than one OPC UA Server defined in the Driver Interfaces select the desired Driver Interface. Use the Browse button to browse the OPC UA Server for the IdType, NodeId, Namespace, and Data Type or manually set them. To define multiple tags use one of the following optional methods. Use One Click OPC UA to automatically create tags from all OPC UA Nodes from a selected OPC Server or branch within an OPC Server. Then selectively delete the groups and tags that are not required. 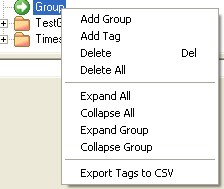 Use CSV Export and CSV Import on the toolbar in the upper right together with Microsoft Excel to add or modify tags. Programmatically define Tags using the free to use OASConfig component with the TagCSVImport method. Programmatically define Tags with the OAS REST API.